Use these resources to get your recognition program off to a great start! When you roll out a new employee recognition initiative in your organization, it’s important to communicate to your group why the program is being implemented, and how employees can participate and be recognized. Terryberry has helped hundreds of organizations successfully launch employee recognition programs and maintain participation over time. We can help you design a communication plan to engage your employees with your new program. Watch this video for innovative launch program ideas. Tell your employees about your new recognition program – why the recognition program is in place and how it works. 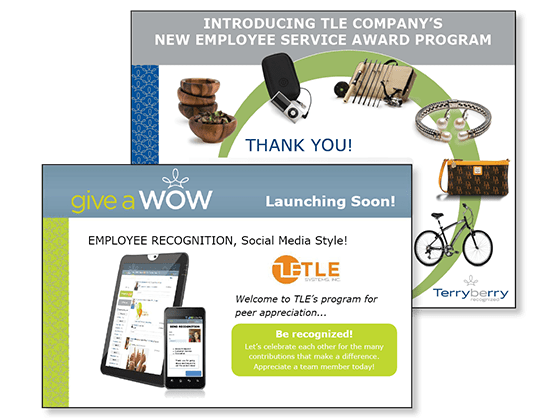 Download a Sample Recognition Program Launch Announcement. Include this text in your email, newsletter, and etc. announcements. Download the Service Award Program Launch Poster Template. Add your company’s logo and customize the text to represent your organization’s mission, vision and values. Hang in cubicles, post on break room bulletin board or attach to an email! Download a Generic Recognition Program Launch Poster Template. Have a Peer Recognition program or want to customize your launch messaging? Feel free to utilize this template. 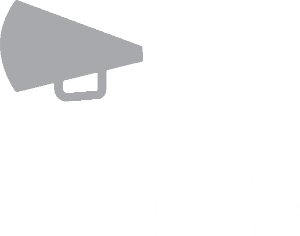 Create buzz and build awareness about your recognition program with fun launch video. 360 Recognition clients, Terryberry can create a custom launch video for you. Contact us to learn more. Watch a sample Employee Recognition Program Launch video. Small gift items can be a great way to announce or remind employees about your recognition program. 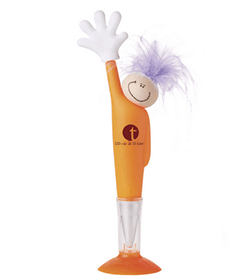 Promotional items that can be branded for your organization or customized with your recognition program’s brand message. Browse our selection of promotional products, or contact us for ideas. 4. Woohoo! You’re in the Program! What’s Next? Show your participants step-by-step how to get started in your recognition program. For 360 Recognition participants, this video shows how to get set up and start giving recognition. Learn how to login for the first time, upload your photo, sync with Facebook/Twitter, follow peers, and give some recognition. 5. Download the Free Give a WOW App! Give recognition on the go! We’ve got an app for that! Connect to your 360 Recognition or Give a WOW account through our free Android and iPhone apps. 6. What to Say and How to Say It! Encourage and motivate employees by learning the language of recognition. These employee recognition words will help you get started! Roll out the resources above in a span of 2 months to ensure optimal employee population reach. Posters can do double duty: highlight your organization’s core values and remind employees to give recognition when they see them in action. It takes 11.3 impressions for a message to stick! You can’t over communicate!